Want it delivered, Tuesday 30th, April? Order in and choose Next Day Delivery at checkout. Or Free Standard Delivery on orders over £30. 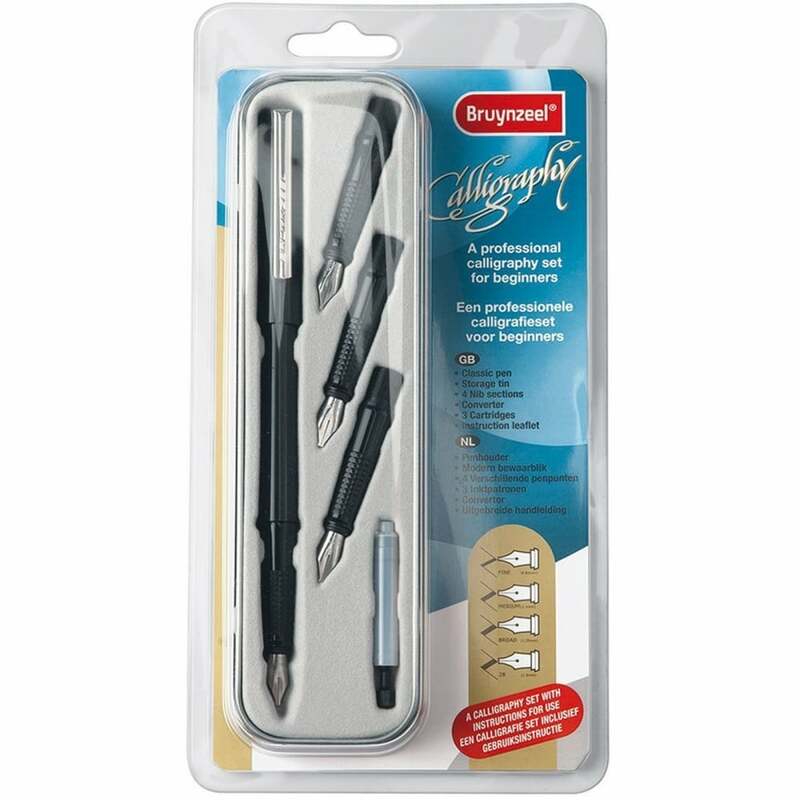 This 10 piece set is ideal for a beginner who would like to develop their skills in the art of calligraphy and express your designs through this wonderful style of writing. The pen set comes in a stylish metal box complete with a instruction manual. Whether you are a beginner or a professional, calligraphy is ideal for adding your very own personal touch to all manner of things including greetings cards, invitations, announcements, place cards, posters, certificates and so much more. The set contains fountain pen, four different style inserts nibs (fine 0.85mm, medium 1.1mm, broad 1.35mm and extra broad 1.6mm), 3 ink cartridges and ink adaptor which can be used with ink bottles. A bit about the brand: Bruynzeel provide creative kits and products for crafting. The sets are available in different versions, for young and old, so that there is always something there to stimulate your creativity.